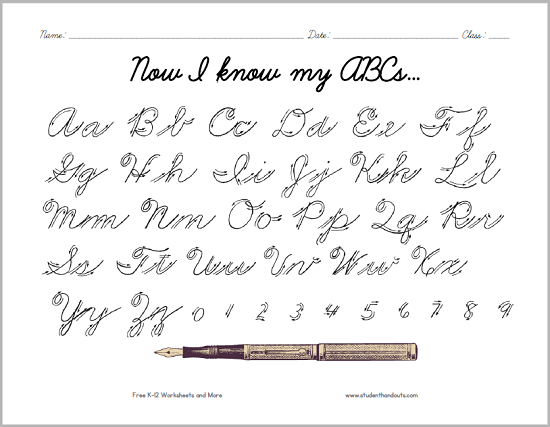 Here is a convenient handout for students learning to write the cursive script alphabet. Letters come with instructional arrows. Numerals are also included. 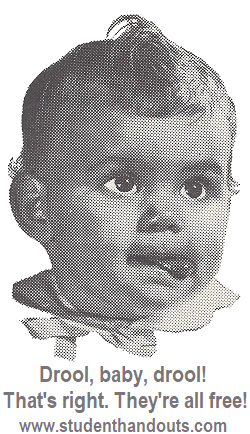 Click here to print this sheet (PDF file). For more of our free printable handwriting worksheets, click here.